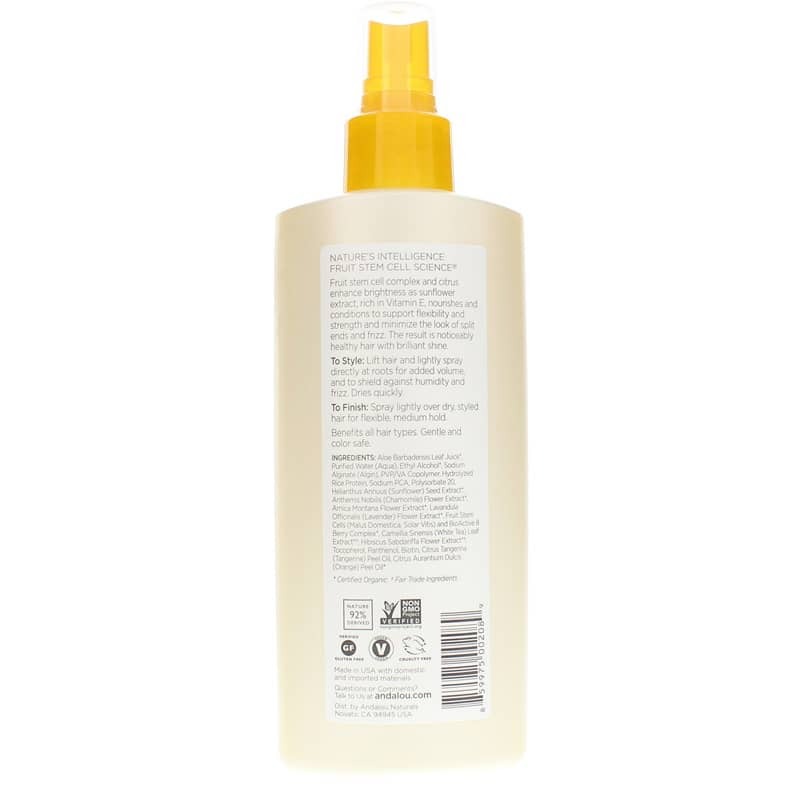 Sunflower & Citrus Medium Hold Hair Spray from Andalou Naturals provides a medium hold for vibrant shine and a flexible style - with natural ingredients! Ships today if you order in the next 3 hours 3 minutes. 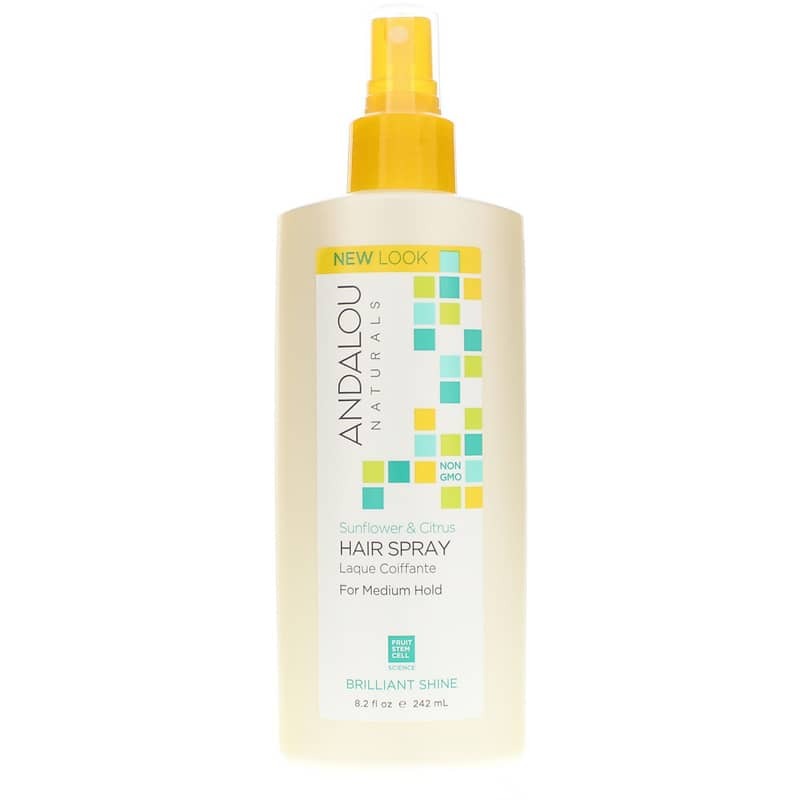 Hairspray is a staple for most women, and if you've been searching for a natural option that provides shine and just the right amount of hold, Andalou Naturals provides the perfect product. Sunflower & Citrus Medium Hold Hair Spray provides fruit stem cell science to not only give you hold and shine with flexibility, but also to support the overall health of your hair - all the way down to the follicle! This product is certified organic, vegan-friendly, gluten and cruelty-free and is Non-GMO Project verified. Keep your hair beautiful inside and out. Try Sunflower & Citrus Medium Hold Hair Spray from Andalou Naturals a try today for a fantastic hold without chemical additives. Order now! Verified gluten-free. Non-GMO verified. Vegan and Cruelty-Free.